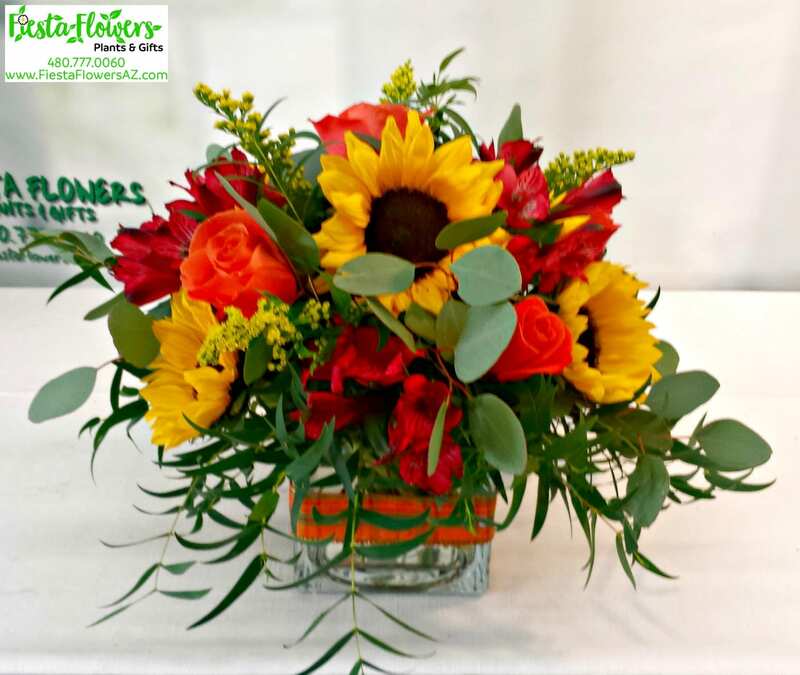 Send our Sunflower Garden Cube to celebrate any occasion! 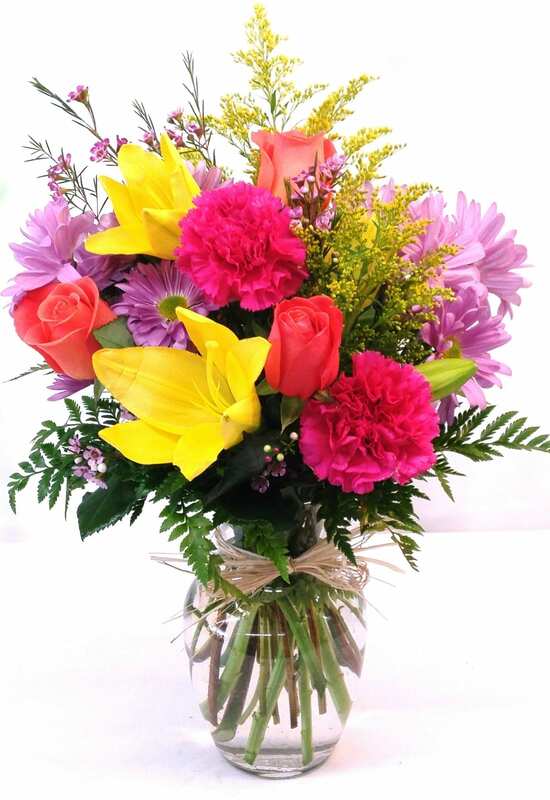 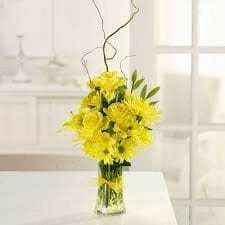 This all-around arrangement includes five bright sunflowers and five orange roses. 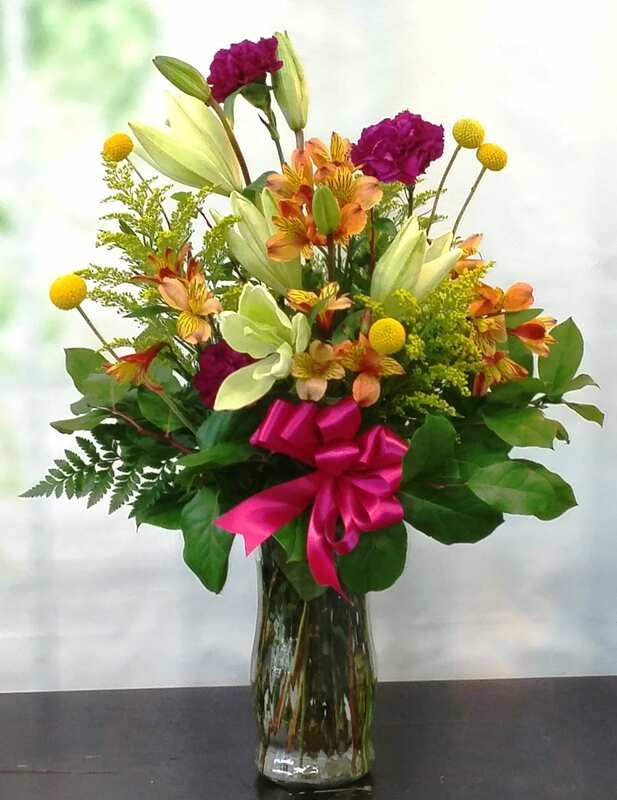 Alstromeria and Saladego compliment the lush varieties of Eucalyptus.